CSP realized a self-powered wireless relay station, released from electrical network and powered by solar energy. Current and voltage information of both power sources and loads are constantly monitored and collected in the CSP’s IoT platform. The architecture designed constitutes a significant advance in the development of infrastructure operating in remote sites. 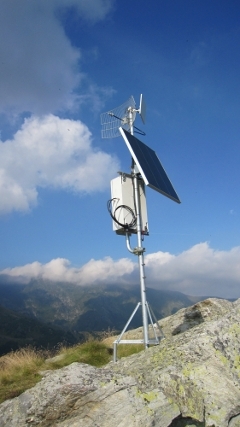 The system prototype is actually working as a relay node for a 5GHz wireless High Performance network in a mountain site near Torino. The integration of a wind energy generator is actually under evaluation.